Completed payments can now be canceled or reversed on any invoice across the system. 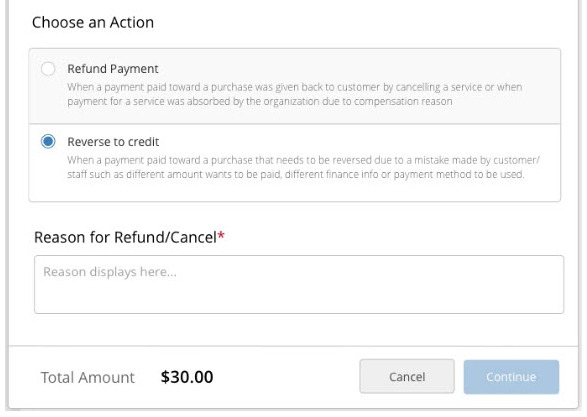 For example, if the wrong payment type is selected, staff members won’t need to refund an invoice and process a new transaction. With appropriate permissions, staff can simply cancel the payment and re-charge the customer on the same invoice with a different payment method. This is also useful if a payment was posted incorrectly – for example, if a cash payment was posted as credit card, this is now easily adjusted in the system. 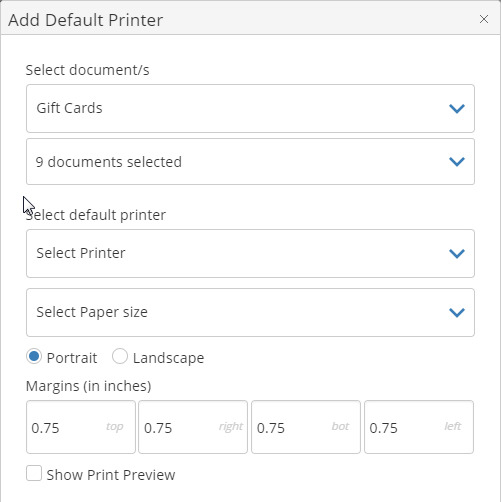 We have included a setting for admins to configure the default printer for receipts, cards, contracts, invoices, and other document types for each computer station. Previously when printing a document, staff members would have to manually select the correct printer every time. This will help reduce frustration and costs due to choosing the wrong printer – no more accidentally sending a multi-page contract to the card printer! Customers are now able to withdraw from courses online, reducing the number of calls to the front desk. Course fees will be refunded either to the original form of payment, as a credit on the customer’s account, or as a request for refund and withdrawal. 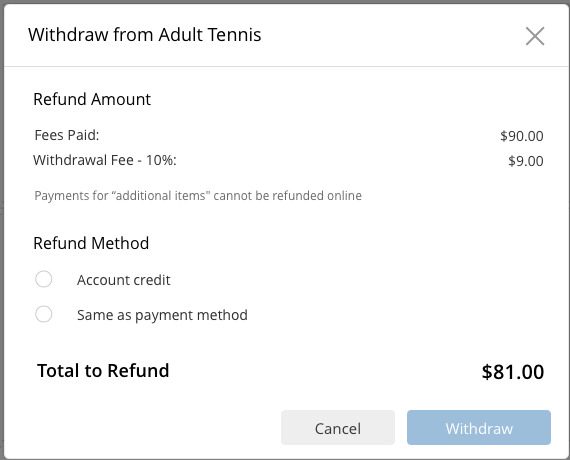 Admins can enable or disable online withdrawal at both the service and event levels, and can choose whether to charge fees for online withdrawals for each service or course individually. Different cancellation fees can be charged based on how close the withdrawal is to the start of the course. When an attendee withdraws from a course, admins are notified and a flag is placed next to their name on the attendee page. Previously, staff members had to apply discounts to each cart item individually, which could be tedious. 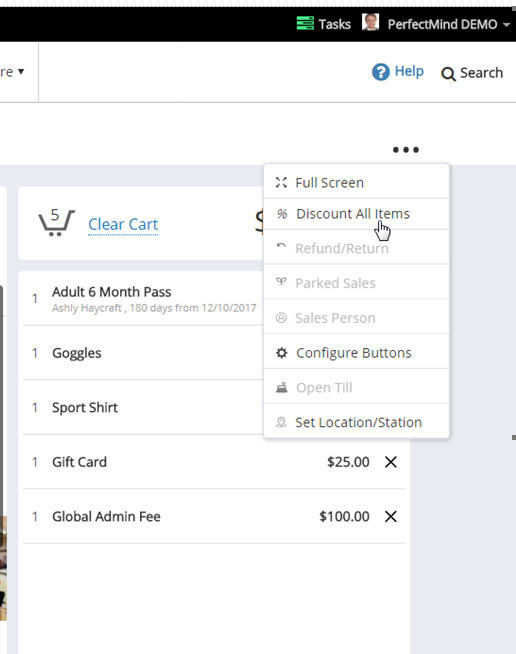 Now, POS 2.0 users can apply discounts to all cart items in one easy step – simply select the “Discount All” option from the POS menu and select the discount to apply to the cart. Our conflict manager now checks for conflicts with assistant staff, which will show in the conflict manager notification window. Staff can now edit questionnaires without deleting existing responses. If a question is deleted, only the responses to that question are deleted. If a question or answer is modified, staff will be prompted to either keep or delete the existing responses. A flag will show on the attendee or contract page indicating if a response is missing – for example, if a new question was added to the questionnaire after it was completed. We have improved account statements to include more information. The transaction column now links to the transaction record, payment rounding is accounted for, and the statement can now be filtered by description. Statement, account, and customer balances are all shown separately, to easily see if there are any amounts owing or available as credit. Discounts can now be applied to POS items that show the price including tax. The discount will be applied to the base price, with the tax adjusting automatically.